The Hotcig R-AIO 80W Starter Kit is finally available over at Efun. The price point may surprise you—they’re selling it for only $24.49! Sounds like a solid deal to me. They currently have 2 colorways in stock: red and grey (black is still on pre-order). But, if you were interested in the black version, you could order one from 3avape for only $3 more. Check out the link below. In case you’re not familiar with this one, the Hotcig R-AIO is a 2-in-1 device. 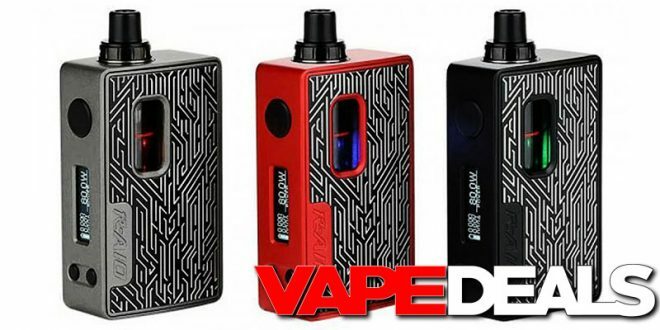 You can use it as an all-in-one kit or convert it into a regular box mod (much like the old Joyetech eGrip 2 Kit, only with an external battery).